Do you have a job interview and you are wondering how to pass it? 90% of people are usually nervous before job interviews and this has nothing to do with how experienced you are or not. The only difference might be your level of preparation. So in this post, I will share with you the common job interview questions for fresher’s and how you should answer them. When an interviewer says “Tell me about you”? What do they mean and what are they expecting to hear. This question is one of the self-introduction interview for freshers and it is an opportunity for you to set the tone of the job interview. Your focus while answering this question should be your professional work experience similar to the position you are being interviewed as well as academic history if it is relevant to the position. Emphasize the points that you want this potential employer to know most about you. It is not necessary to talk about your family history, religion and political affiliate. You can leave those out for a social gathering. When you start with and talk only about personal information you will give the interviewer reasons to doubt whether you actually need just a job or you need the particular job. #2: Why did you leave your last job? There must be a rational reason for every action. There must be a reason you applied for the specific job. In reality, the basic reason for job application is majorly to pay bills or the pay is bigger than what you currently earn, or you are tired of your current role especially if you do the same thing every day. But the truth is, you cannot say these at a job interview. Rather you can impress your interviewer by saying the main reason you applied for the job is to contribute what you have learned over the years from your experience in the field. You can add that you have a passion for that role and that you also want to learn more from other people you will work with while performing your duty. #3: What experience do you have in this field? This is to ascertain if you are academically, professionally and skillfully qualified for the role. There are times candidates study science-related courses and end up claiming they are qualified for accounting or HR roles this may be possible if you have some professional qualification in the field and have actually explored the field well. But when a candidate has no experience whatsoever and no knowledge about a role, it will be a disqualification. If the employer will eventually hire you, it means he will have to train you from the beginning which will incur more cost on the organization. Just as Steve Job said “it doesn’t make sense to hire smart people and tell them what to do; we hire smart people so they can tell us what to do”. Once you are qualified, capitalize on the specific qualification related to the job role. #4: Do you consider yourself successful? #5: What do co-workers say about you? This is interwoven into what your employer think about you. Are you reliable, dedicated, punctual and efficient? Do you colleagues feel comfortable working with you and can you lead a team with little or no supervision? The employer needs to know how you relate with people at work since you will be spending most of your time in the office. You may need to get heads up from your previous colleagues. Ask them to describe you and take down the things they have to say. #6: What do you know about this organization? All the interviewer wants to know is how prepared and interested you are in the company. It is wise to always do your research about the company before you go for an interview there. Spend a lot of quality time on their website that is if they have one and their social media pages. Look for their mission and vision. Check out their board of directors and management team. Know their products and services and know all you can about the department or unit you will likely work. #7: What have you done to improve your knowledge in the last year? This question is to determine if you are comfortable with what you have achieved or you aspire to know more. Have you improved academically, professional and skillfully in the past one year, have you developed yourself in anyway? You can start by saying all the things you have learnt in the past one year, from there, you can include even the books you have read or even articles or any publication that is increased your knowledge. #8: Are you applying for other jobs? You can answer this question honestly by saying yes but emphasize that of all your applications, the current interview you are having is the biggest and your target job. However, you do not need to disclose the other companies you are applying or how many applications you are applying. This is to ensure you do not appear as a desperate random job seeker. #9: Why do you want to work for this organization? There must be a rational reason for every action. There must be a reason you applied for the specific job. In reality, the basic reason for job application is majorly to pay bills or the pay is bigger than what you currently earn, or you are tired of your current role especially if you do the same thing every day. But the truth is, you can not say these at a job interview. Rather you can impress your interviewer by saying the main reason you applied for the job is to contribute what you have learnt over the years from your experience in the field. You can add that you have a passion for that role and that you also want to learn more from other people you will work with while performing your duty. #10: Do you know anyone who works for us? 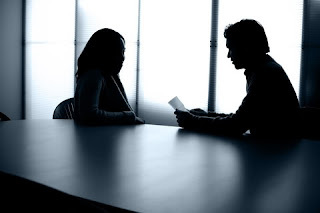 Be sure of the organization and structure before attending an interview. Some organizations love and pay for good referrals while some will take it as you are bribing your way into the company. Ensure you find out what the company expects before answering. This is the reason you have to practice your answers before attending an interview. You can also answer by saying how the person you know talks highly of the organization and your wishful thought or dream of working with them. 0 on: "10 Common Job Interview Questions For Freshers And How To Answer Them"